I can't believe September is over and we are now in October! It's crazy! Time really does fly by. I love this time of year, it's almost Christmas for one and there is so much to look forward to. Festive feelings! I know many people dislike October for a variety of reason.. Dark mornings, colder weather and warmer clothes. 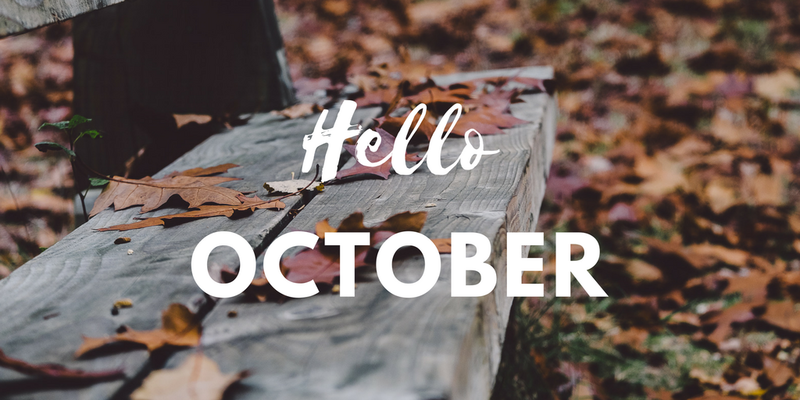 But I wanted to share with you 10 reasons to LOVE October! Pumpkins ... all things pumpkin flavour, pies, soup and even cupcakes! Halloween - Best time for kids, if you have children and of course for adults to dress up and have a laugh! The clocks turn back 1 hour on the 26 October... errrr yes! One extra hour in bed snoozing! Makeup change - Yes it's now totally acceptable to rock out that berry lipstick..everyday! Ankle Boots - If you haven't already bought them September, October is the perfect month. Hats and Scarves - It's chilly now so get those scarves out the closet! It's only 85 days until Christmas! Ho Ho Ho! Boyfriend coats are a must have! I want... I want!